With his 2009 film Moon, director Duncan Jones demanded that audiences sit up and take notice of smart science fiction. Audiences then wondered why everything was so quiet, slow, and moody and became impatient for stuff to start blowing up real good. 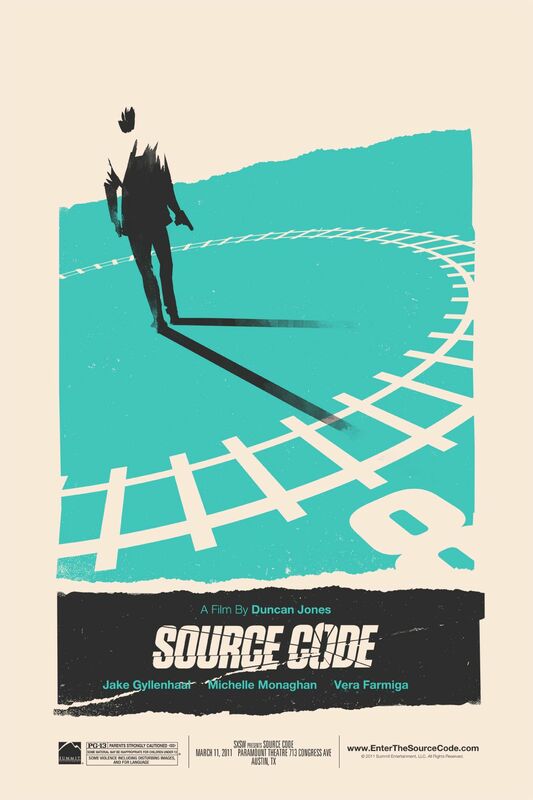 For his second feature, Source Code, Jones has made a more accessible sci-fi that delivers on fast-paced action, lots of explosions, sharp dialogue, while still using sci-fi as a means to explore powerful themes about identity and sacrifice. Even when the story steers towards a forced “happy” ending, it still comes up with enough ambiguity to make the trip worthwhile. 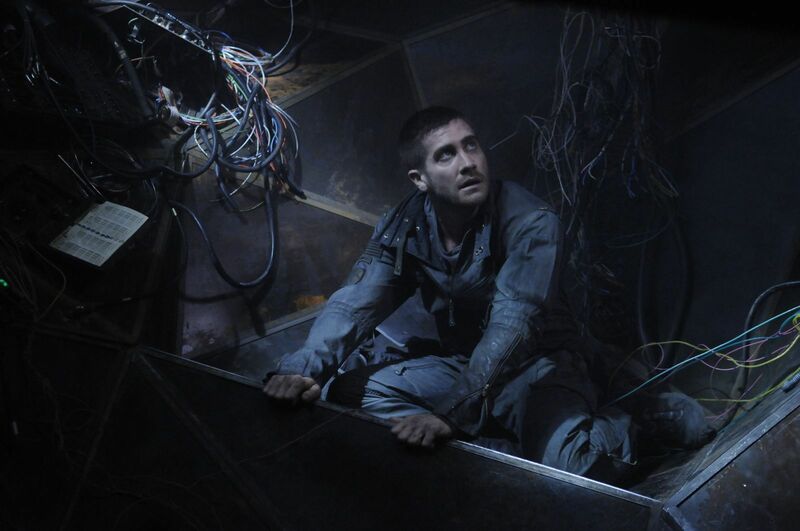 Captain Colter Stevens (Jake Gyllenhaal) is a soldier tasked with discovering a bomber aboard a passenger train. The means to uncovering the identity of the bomber is through the “Source Code”. The train has already exploded, all the passengers are dead, but the Source Code allows Stevens to keep reliving the last eight minutes in the life of passenger Sean Fentress. Colter can’t stop the bomb from exploding, but he can stop the bomber from hitting his next target. But finding the bomber isn’t the only mystery that Colter has to solve. With Source Code, Jones has proved that Moon was no fluke. While his new movie is faster paced, it still demonstrates a strong creativity and an emphasis on character that keeps the viewer involved. Jones finds a wonderful visual language to not only make the same eight minutes feel fresh every time, but more importantly, he finds the compelling subtext that makes the movie more than just a chewy action-thriller with a crispy sci-fi shell. Themes that were present in Moon—replication, distrust of authority figures—are present in Source Code but they’ve been paired with a touching exploration of sacrifice and even a bit of commentary on how we ask soldiers to lose their humanity in order to transform them into weapons. The film is helped tremendously by Gyllenhaal’s charisma. Colter is a character who is always trying to get his bearings and must flip between humor, disdain, anger, grief, and a host of other emotions as he attempts to not only complete his mission, but to understand his participation in it. Source Code is further proof that if you provide Gyllenhaal with a rich character, he will meet your expectations (if you provide him with Prince of Persia, it’s a different story…). Vera Farmiga and Michelle Monaghan also turn in strong work as Colter’s superior officer and a fellow passenger, respectively. The only weak link is Jeffrey Wright as the head of the Source Code program. Wright’s a usually reliable actor, but here he comes off as a cartoon and his line readings feel contrived and rehearsed. Where Source Code has the biggest problem is in its finish. The film comes to a moment which would work as a final scene, and then it bypasses that scene to go for something more complex and uplifting. Jones delivers so much of the film with tremendous confidence that it’s jarring to see him twist the narrative into knots so that the audience can leave feeling upbeat (and chances are they’ll leave confused). Despite a slightly weak finish, Source Code is another triumph for Jones. He’s shown that he can manage a mid-budget studio film that will appeal to mainstream audiences without sacrificing the thoughtful sci-fi elements that made Moon such a breath of fresh air.